The Kaarst Association of Small and Medium-Sized Businesses and Industry has named the managing directors of the Hebmüller Group, Axel Hebmüller, Guido Otterbein and Mario Theissen, as businessmen of the Year 2018 in Kaarst. The award ceremony took place at “Gut Mankartzhof” in Kaarst, the headquarters of the Hebmüller Group. The company was founded in 1995 and today employs 14 people. 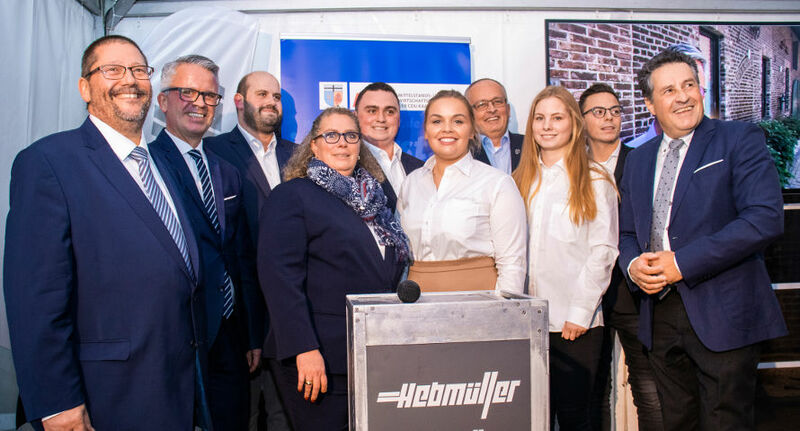 In addition to the quality of its products, Hebmüller is distinguished above all by its competent team, which stands for the values of honesty, persistence and responsibility. The trio also received the businessman of the Year award for remaining down-to-earth and close to their homeland, despite the worldwide use of their solutions, and for engaging in various honorary activities. Around 120 guests took part in the festivities. Among them were Kaarst Mayor Dr. Ulrike Nienhaus, District Administrator Hans-Jürgen Petrauschke, District Director Dirk Brügge and Sparkasse Board Member Dr. Volker Gärtner.